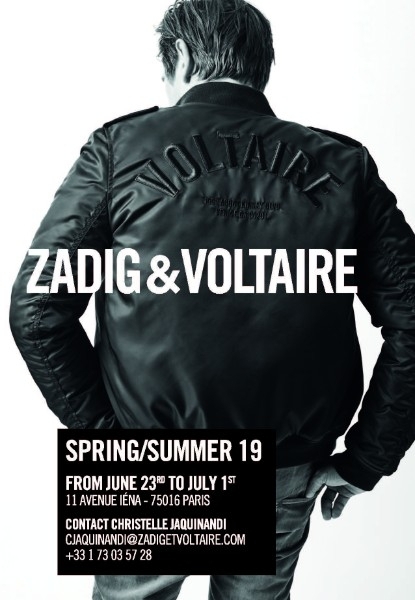 Founded in 1997 by Thierry Gillier, Zadig & Voltaire is enjoying undeniable success in the high end ready-to-wear sector. Luxurious fabrics such as cashmere, silk and leather are the signature of the brand. 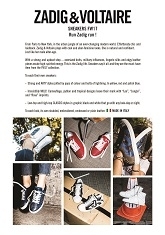 Zadig aims to embody a new luxury by giving fashion basics a playful and resolutely rock 'n' roll twist: a more affordable, stylish and laid-back luxury. 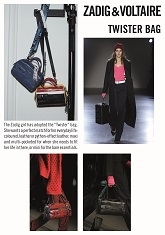 The spirit of the brand is recognisable thanks to its distinctive style codes, timeless pieces and musthave cuts. 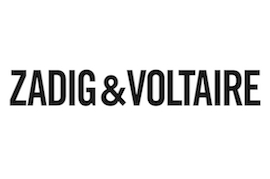 Right from its very beginnings Zadig & Voltaire has effortlessly established itself as a concept-store designer that is ahead of its time. Classics are revisited each season: elaborate cashmere sweaters, customised Tunisian T-shirts, and distressed, ripped jeans constitute the must-haves of the brand.